Our Task – Deliver an easy to manage Ecommerce Website, with a fully-functional and flexible Order Management System. Design a Responsive Website focusing on User Experience, suitable for the growing Mobile use. 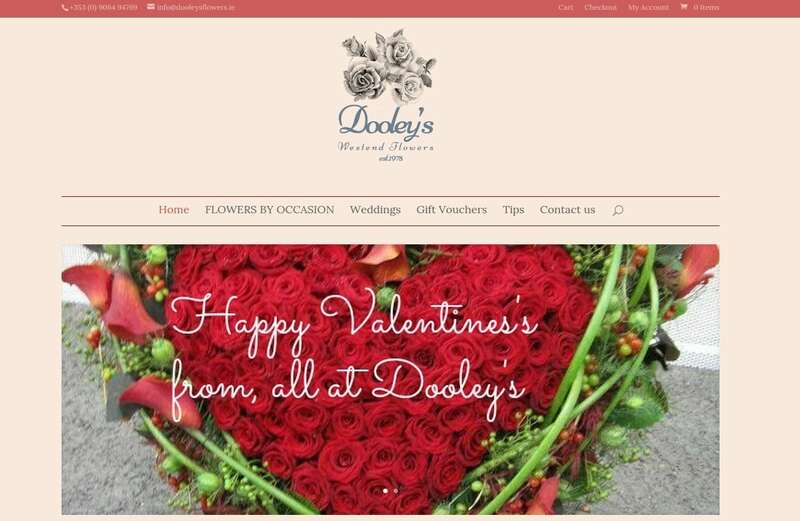 Dooley’s Flowers has always been on the leading edge in the Athlone area. As award winning florists and a local family tradition, extending their quality flower services online was a natural follow through. The development strongly focused on the User Experience, and the design was lead by the expert eye of Orlagh Dooley. Also, the ability to use Gift Vouchers and Coupons keeps granting a great amount of sales to this Ecommerce.